It’s been a cold week for most of the country, but the paintriots continue to safely paint indoors using our eco-friendly, all natural paint and finishes. Since most of us are dreaming of warmer temperatures, let’s start with the pieces that look like they are ready for spring and summer! Restyled Vintage Designs painted this slatted table using Uncle Sam, Nana’s Cupboard, Surfboard and Fireworks Red over a mix of Shining Seas and Blue Jeans. 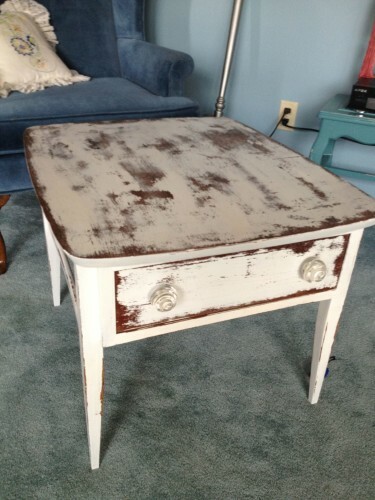 Youngest of Nine Designs painted this side table in Uncle Sam, then heavily distressed it for a beachy look. 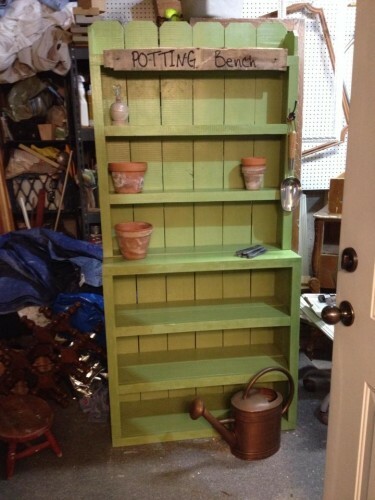 Weathered Pieces painted this cute shelf unit using Nana’s Cupboard. 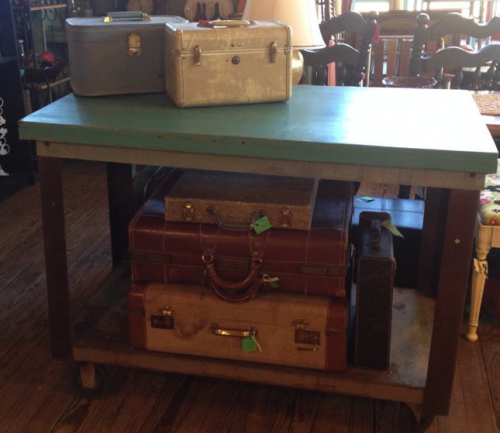 Who’s ready for spring? 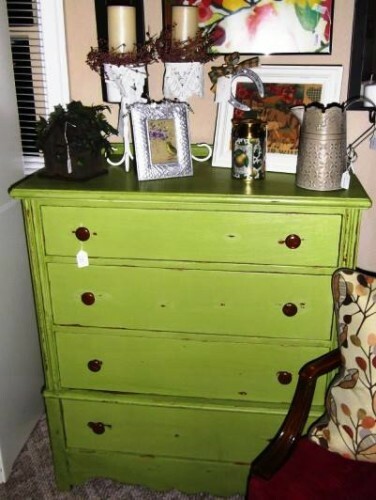 Same As It Never Was Design Studio continued the springy trend and painted this dresser with Nana’s Cupboard also. 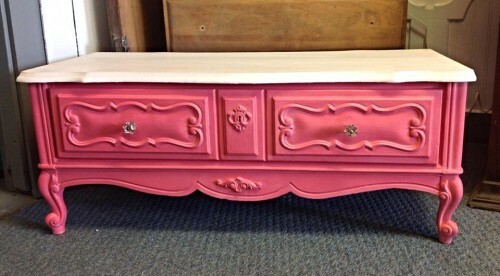 Brick Street Cottage cut this dresser down to one drawer due to some damage for a whole new look and then painted it using First Lady and Momma’s Lipstick. 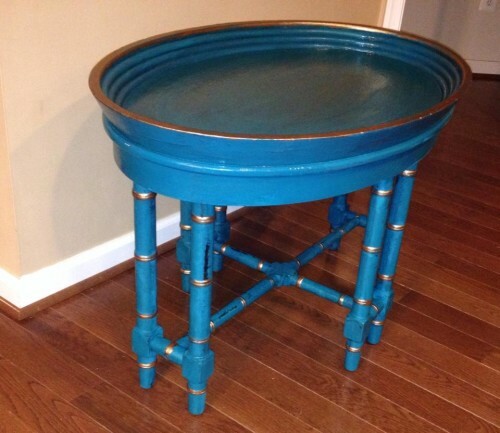 Totally Vintage Design painted this tray table using Peacock and Copper Mica. 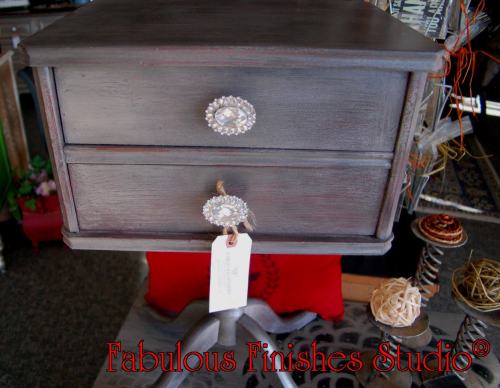 Fabulous Finishes painted this little table using Freedom Road and finished with Pewter Mica in the wax. 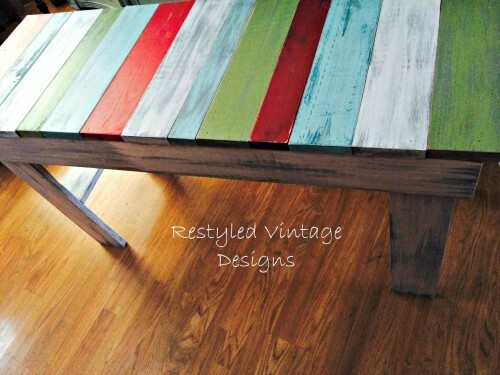 The Old Store painted this table turned island with Beach Glass over Orange Grove. 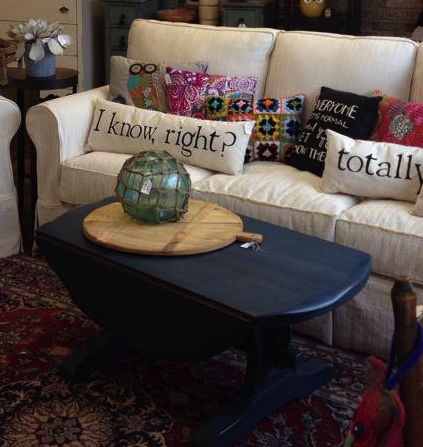 Bungalow 47 painted this coffee table with Born on the 4th over Wild Horses and finished with Dark Wax. 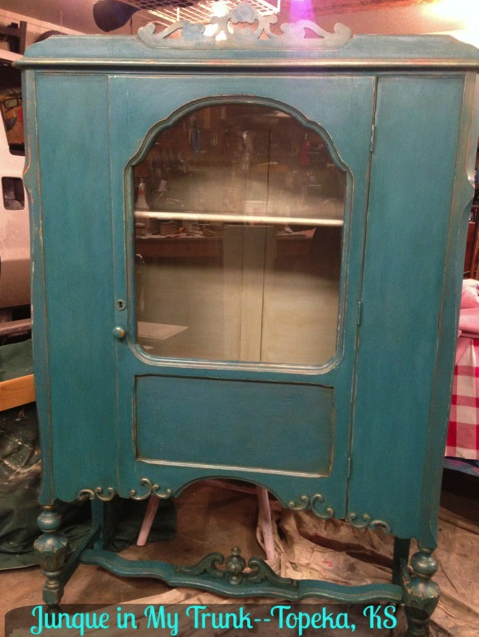 Junque in My Trunk painted this cabinet using Peacock and finished with Dark Wax and Copper Mica highlights. Company chalk and clay paint?